The versatility of a change bag without the bag! 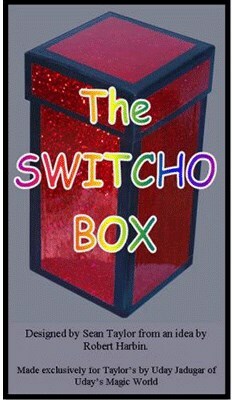 This quality switch box is perfect for any routine where small items need to be switched, produced or vanished. Includes Switcho Box and instruction sheet. Dimensions Approximately: 4" x 4" x 8"